We are your partner for plastic components and hitch systems for the commercial vehicles industry and a employer that offers outstanding professional perspectives. Our highly motivated and qualified skilled workers are the foundation of our success. 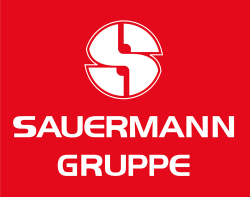 In order to strengthen and expand the Sauermann Group – we are looking for YOU! You would like to make personal progress and apply your expertise? We are looking forward to new employees who face new challenges with team spirit and motivation. We offer a safe and performance-based salary, diversified work and many other attractive factors. Check our job openings and apply now. You haven’t found the right job opening that fits your profile? Don’t worry. We are looking forward to receiving your unsolicited application as well. Send us your convincing application including cover letter, CV and certificates to the address below.